What are the Top Rated Treadmills for Arthritis? 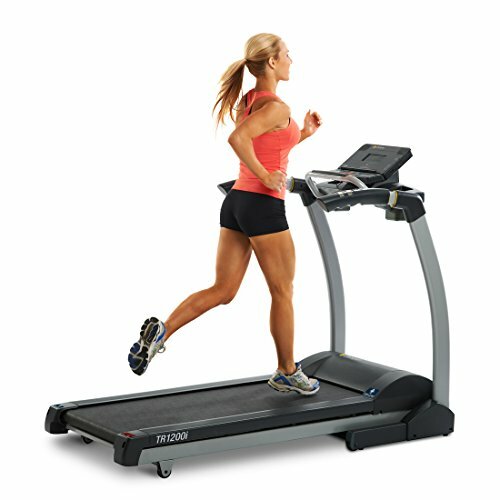 When looking to buy a treadmill and you suffer with arthritis -- you will ideally need a model that is designed & manufactured with special ergonomic & cushioning technology in place -- this will then provide you with that extra support, protection & stabilisation (even for just walking, just to ensure minimal impact & damage occurs to your joints etc.) but unfortunately because of this, they are usually a fair bit more expensive than the standard treadmills. This article aims to provide you with a showcase of such treadmills (saving you the research time & general hassle to go and find - what treadmill offers what & which is best etc.) -- and are typically regarded the best you can buy for those who suffer with arthritis & hopefully from this you will find the ideal model or at the least get a better idea as to what type of treadmill you are now after. To start with my personal favourite -- the multi-award winning (Treadmill Doctor "Best Buy", Fitness Professor "Head of the Class" etc.) TR 1200i fom LifeSpan. It offers 6 'variable-density' elastomers integrated with the 'biomechnically correct' deck suspension to provide you with an extra foundation of cushioning (as opposed to 4 or less, even none in some cases, on other standardized treadmills) on the running deck for protecting your joints (you can actually get 8 elastomers on the LifeSpan TR3000i model, but is a fair bit more expensive). As a treadmill, to put it briefly it is 'excellent'. Where it features an extra large deck of 20 x 56 inches (that is able to support users who weigh up to 300 lbs) a fitted (precision welded) sturdy frame to provide you with extra grip support if needed (and gives off that general feeling of solidity). The center piece of the TR 1200i is an LCD control console that details all the usual fitness specifications & stats such as the the time you have been walking/running for, the distance you have travelled within the given time, speed, calories burned etc. Moreover, you get a range of fitness programs that you can abide by - all of which is provided by the treadmill in which it will automatically adjust the settings & conditions (e.g. incline & speed) to suit. In all, this is a highly practical (it can even folded up & wheeled away to save you space) & quality treadmill -- that is certainly worth taking a look at, besides with numerous accolades & over 100 positive reviews they can't all be wrong. Another award winning treadmill (with an industry leading warranty: the framework being covered for a life time, electronics for five years & labour for two -- to put it simply this thing is built to last & as about as solid as you can get) is the F80 that has been proved through studies to reduce joint impact by up to 40% -- this is due to its "Cushion Flex Whisper Deck", which gives you a clear indication that the suspension & cushioning technology implemented within this F80 -- is top quality. Moreover, it is literally packed with features such as the wide range of exercise programs: from the standard (fast paced walk for 20 mins) to the advanced (e.g. high intensity interval training). The powerful motor installed enables an incline level as high as 15 % -- and allows you you to either walk as slow as 0.5 mph or to sprint up to that of 12 mph (with fitted heart rate sensors to check your BPM etc.). An aspect I really admire about the F80 is its deluxe speaker system, where the LCD console offers jacks ports -- so you can hook it up to an MP3 player & then listen to music or an audio book aloud whilst you are working out. Again another great treadmill to definitely consider having a look at. 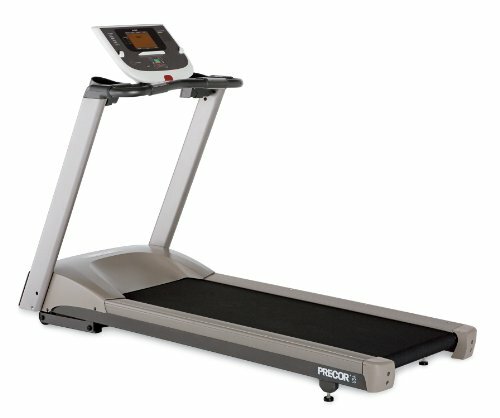 This is a rather luxury treadmill - very much at the premium end, but I wanted to include it due to its range of unique and patented state-of-the-art specs with regards to joint 'protection' (e.g. its stride support technology, re-configured shock absorbers, ground cushioning control technology) that have been fitted & engineered into the 9.23 to make it of "club quality" & one of the best "low impact" treadmills on the market (& in turn one of the best for those who suffer with arthritis). Along with numerous fitted safety features, in case anything were to go wrong e.g. solid frame handle grip bars & magnetic safety clip that instantly turns power off. As a treadmill the 9.23 it is a very advanced fitness machine offering a 3.0 HP motor (allowing for extensive incline & speed settings -- like that of the F80) & specialised computer console that reads out calories burned, heart rate etc. with awesome accuracy (due to it taking account your specific biological profile). There are of course more advanced versions of Precor treadmills such a the 9.35 which provides even greater support for joints (pretty much the best & even offer decline) - but such models can get very expensive (e.g. $5,000). However, unless you are going to go for long runs every day - the 9.23 is certainly more than sufficient for every day use - for walks & jogs etc. - (when speaking for those who suffer with arthritis) keeping joint pain & impact to an absolute minimum and making the whole cardio work out that much more comfortable -- as well as improving recovery quality & time for your body. It is expensive, but aren't you and your health worth it? 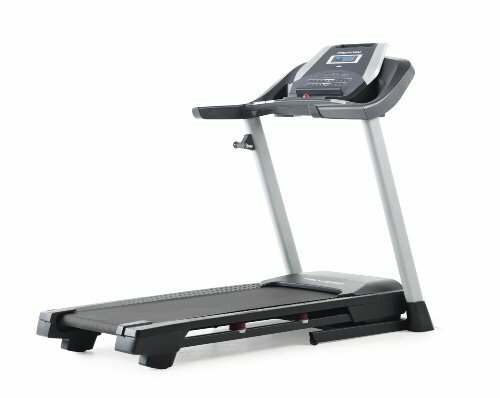 The 505 treadmill model is probably the best you are going to get on a budget (as well as in terms of return for your money i.e quality-to-the-dollar) -- that is going to provide you with decent & sufficient protection for your joints & ensure low impact (whereby it utilises "ProShox Lite 3 Cushioning" - not as proficient as the models above, but still very decent). Also, it does pack a tonne of features as well such as the iFit Live compatibility (which I really love) -- which basically takes the workout online -- where you can select courses and virtually walk/jog/run them through Google Maps (with the treadmill adjusting its incline level automatically to interpret the 'course' you have been set on) as well as customized online courses -- then all your results are then uploaded to your own fitness profile (that can be accessed at iFit.com), something that is definitely worth checking out for the more tech savvy. You also get all the usual jazz with a treadmill such as the console detailing your heart rate as well as fitness burn fat & weight loss programs etc. In sum, a very decent treadmill that offers good value for those with arthritis (with respect to its price tag). Note: Before you go on to buy a treadmill -- I do advise that you first explain the situation to your doctor as to what are your exercise intentions etc. I also would like to recommend you look into aqua jogging too -- a great means of cardio with literally no impact for joints. 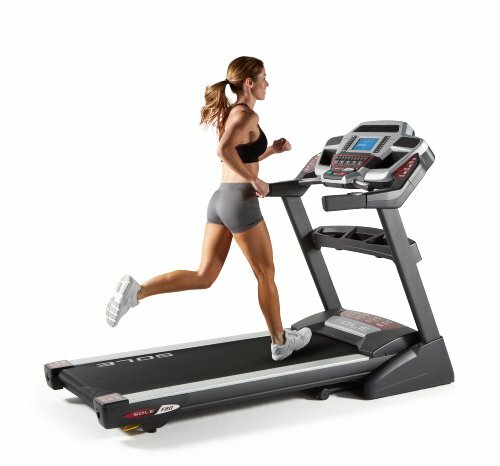 Also, if you have any questions, comments or concerns regarding either the showcase article of - the best treadmills for arthritis -- or about any of the models mentioned above then please do not hesitate to make them in the comments section just below and we will be sure to get back to you as soon as possible. Make sure that you also get a protection mat - to prevent your flooring from scuff damages etc. as well as providing your treadmill with a bit of added support & grip. 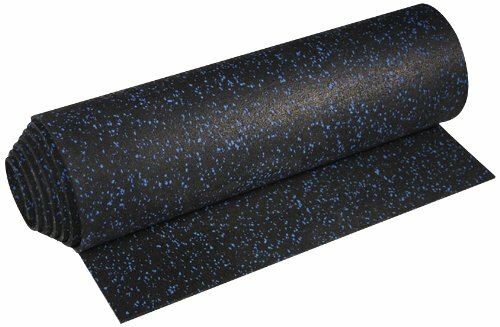 The ProImpact mat in particular will do a great job of this & is of course used widely by many professional gyms & health clubs. Moreover, consider getting some treadmill belt lubricant also to ensure your treadmill is well maintained and to keep it running smoothly.